As you know, when it comes to shipping freight overseas, there are two major options: air freight and ocean freight. Air freight is the fastest way to transport almost anything to almost anywhere. Along with that, it is also the most expensive way of transporting goods overseas. For this reason, many people opt for the ocean freight service. 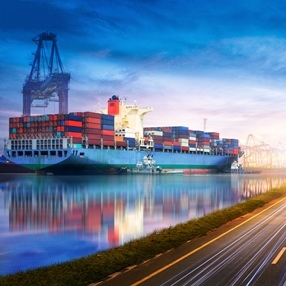 Furthermore, in addition to being the most affordable way of international transportation, ocean freight is also the only possible in case you are shipping big packages, furniture pieces, oversized sculptures, or any other large and bulky items. However, since not all shipping and freight companies are the same, it is very important to find the right ocean freight shipping company that will meet all your needs and requirements. If you are looking for the most trusted ocean freight shipping company in NYC, you won’t find a better option than Fine Art Shippers. As professional shippers of fine art operating worldwide, we have decades of experience in transporting valuable and fragile items across the globe. Moreover, this applies not only to art and antiques (e.g., paintings, sculptures, statues, design projects, installations, etc.) but also to furniture pieces, musical instruments, appliances, electronics, and a whole range of other items. Besides, Fine Art Shippers is also proficient in moving heavy equipment, meaning that we can deal with cargo of any size and weight, including all types of vehicles. In other words, our ocean freight shipping company is an all-in-one-solution to absolutely any shipping problem! Another important thing that makes our ocean freight shipping company one of the best in NYC is that we provide professional packing and crating services in-house in our own warehouses located in convenient proximity to the Elizabeth Seaport. This means that we can pick up your cargo, pack and crate it, organize the shipping process, and deliver it to the seaport even within a single day if necessary. Besides, at Fine Art Shippers, we can combine several individual consignments from different clients into one shipment, thus reducing the freight shipping cost and making our ocean freight service more beneficial for everyone. If you still cannot decide which ocean freight shipping company to choose, request a free quote from Fine Art Shippers! You will be surprised to know how affordable international shipping services can be! If you have any questions or want to discuss your particular shipment, please do not hesitate to contact our team. We will be happy to answer all your questions!